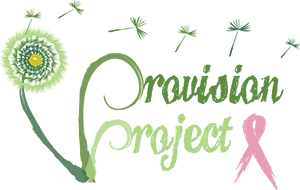 Provision Project seeks to change the trajectory of the lives of women going through active treatment for breast cancer by providing financial relief at the most critical points in their journey. Using our core values as a guide, we want to become an organization that provides hope and beauty in the midst of brokenness. Our core values are the principles that guide our mission. Integrity: We at Provision Project pride ourselves on doing the right thing. Whether dealing with donor funding or approving an application, integrity is demonstrated in all aspects of our business conduct. Commitment to Authentic and Sustainable Relationships: We seek to earn the trust of our donors and applicants by developing authentic relationships and consistently delivering upon our organizational goals. Empathy/Compassion: We have all been touched by breast cancer in some way or another, so we understand the struggle of our applicants. Our organizational decisions and interactions are guided by empathy, compassion and respect.